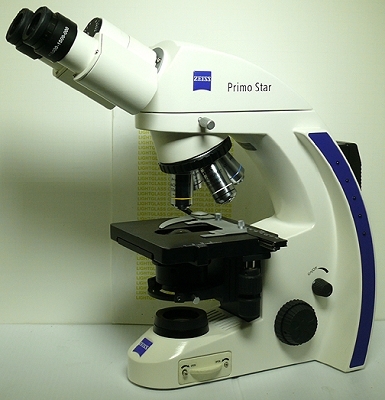 These Zeiss Primo Star Microscopes are in excellent condition, and are ready to use! Zeiss offers a high-quality microscope in an attractive form at an affordable price. These microscopes come with Zeiss Plan-Achromat objectives- 4X, 10X, 40X, and an oil-immersion 100X. This microscope features a built-in variable intensity illuminator, Fine/Coarse focusing and a slide-holding clip on the X-Y stage with co-axial controls..